These images have been chosen by Augsburg Fortress to be used on church bulletins for 2016. MORNING ALLELUIAS will be used for Easter and they will be printing 375,000! This is a wonderful year end surprise. I didn't seek it out and the serendipity is delightful. I am really praising the Lord for this opportunity! I should probably get my paints out and get painting, but I have more quilting to do and that comes first. But I am reveling in the affirmation! 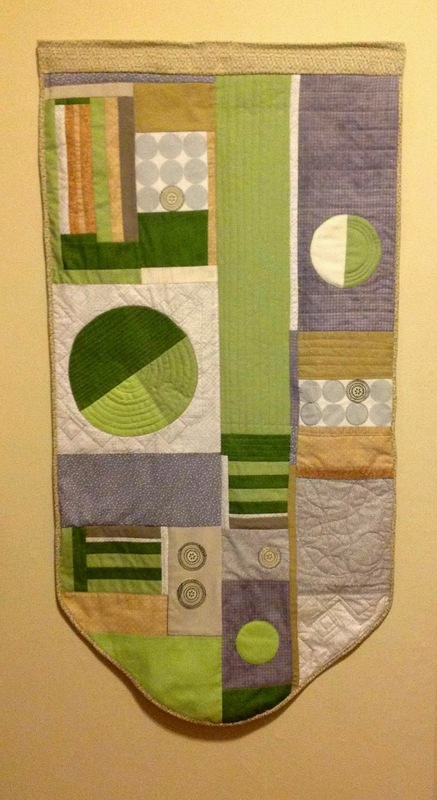 This quilted wall hanging will hang in the guest room of my daughter's house and will match the green walls. 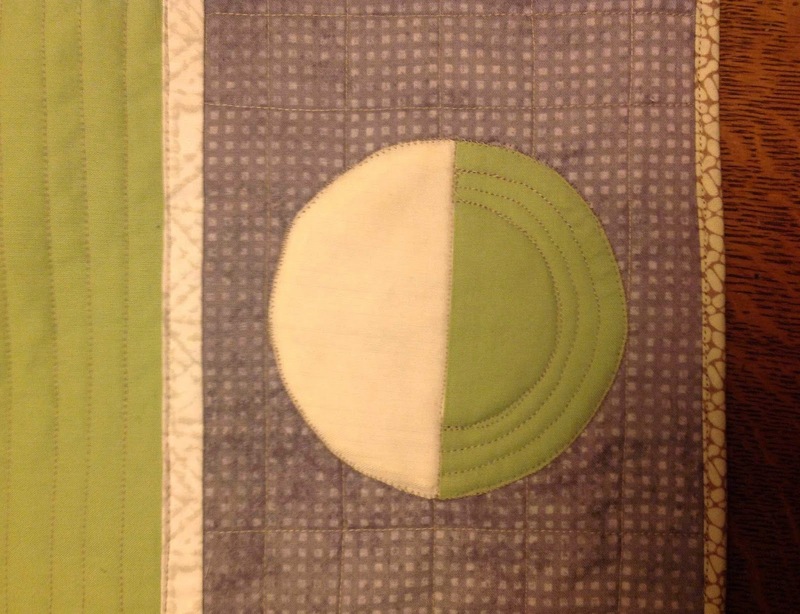 Through this project, I learned to 'quilt as you go', how to make my own bias tape, and also how to create perfect circles out of fabric for applique. A learning curve, indeed! I'm thankful for videos on the internet that helped me make it through. My web guy, Arend VanderPols (he's terrific), fixed the website in nothing flat! So it's ready to be browsed! These photos show where my energy has been going since I found out our daughter will be having a child in February. 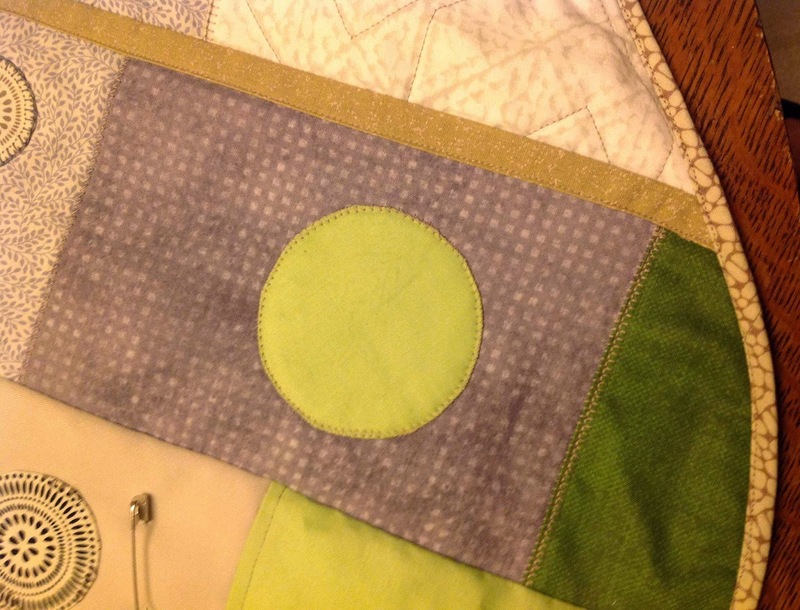 These quilts are on the baby's crib in Denver waiting to snuggle him or her. I've been watching quilt videos while I'm on the treadmilll and learning all sorts of things. 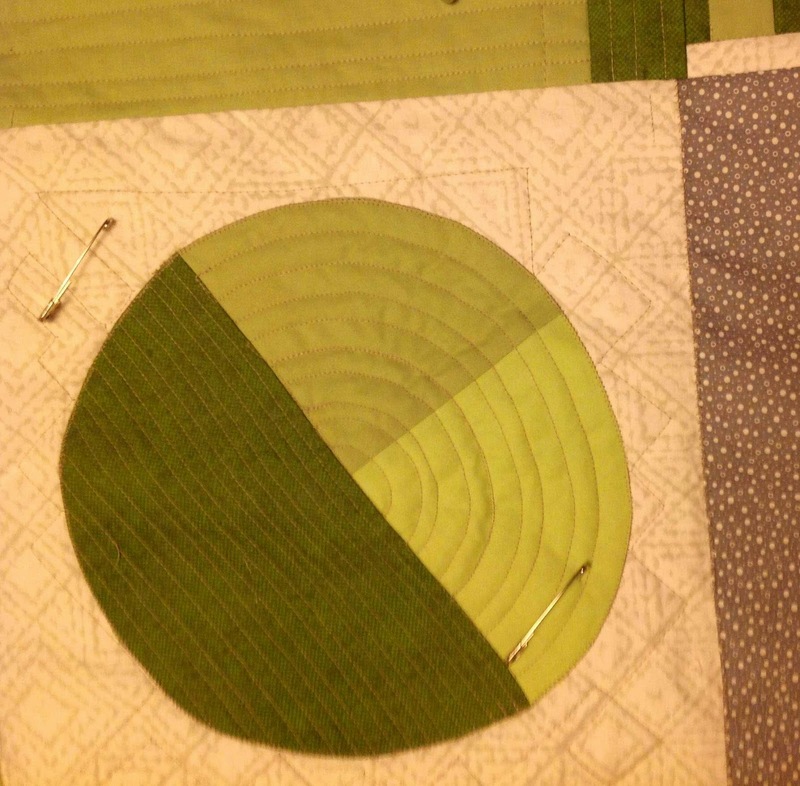 Today, I hope to finish a quilteed wall hanging that taught me circle making, bias tape making and "quilt as you go" techniques.